Quality. It's a word that we talk about all the time. We expect quality in all areas of our lives. We want quality in the goods we buy, the services we seek, and we also expect quality within our own industries and companies. WAND is introducing a new set of taxonomies that will address the various Quality Control methods available to both manufacturers and enterprises. The first of these is the WAND Lean Quality Taxonomy. 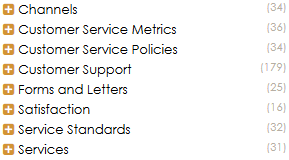 This taxonomy provides a foundation of 122 terms and 72 synonyms found in the Lean concept. The WAND Lean Quality Taxonomy covers the topics of Lean Management, Lean Measurements, Lean Principles and Lean Tools. It is well suited for any manufacturing company or enterprise that embraces the Lean Quality concepts. These concepts include Continuous Improvement, Respect for People, Teamwork, Perfect First-Time Quality and Just-in-Time Production. 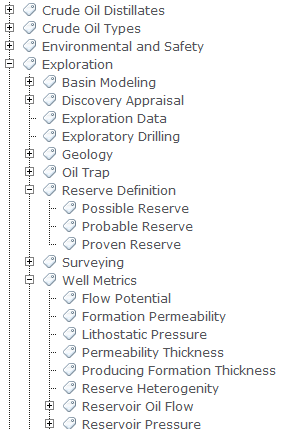 Watch for our other soon-to-be released Quality Taxonomies. As with all WAND Taxonomies, it is available by itself or as part of the WAND Taxonomy Library Portal. If you are familiar with our Taxonomy Library Portal, you have probably run across our WAND Insurance Taxonomy. It is a good, broad, overall taxonomy covering the Insurance Industry. With the latest in our Insurance Industry Series, the WAND Property and Casualty Insurance Taxonomy takes that area and makes it more focused and more specific for the P&C industry. The WAND Property and Casualty Insurance Taxonomy provides a foundation of 783 terms and 518 synonyms that can be customized to include terms specific to the areas and insurance policies being offered. This taxonomy covers all Personal Lines Products including Automobile Coverage, Motorcycle Coverage, Personal Liability Coverage, Personal Property Coverage, and Recreational Vehicle Coverage. In the area of Commercial Lines Products, you'll find Business Owners Coverage, Commercial Property Coverage, Commercial Vehicle Coverage, and Business Liability Coverage. The WAND Property and Casualty Insurance Taxonomy complements both the WAND Life Insurance Taxonomy and the WAND Health Insurance Taxonomy, and as with all WAND Taxonomies, is available by itself or as part of the WAND Taxonomy Library Portal. WAND Pre-built Taxonomies and Smartlogic Semaphore Cloud together is the fastest way for companies to begin tagging enterprise content. Denver, CO, USA --- WAND, Inc., the world’s leading taxonomy provider, and Smartlogic, the Content Intelligence Company, today announced a partnership that will make the WAND Taxonomy Library available to users directly within Semaphore Cloud. Companies can add WAND Taxonomies to a Semaphore Cloud subscription directly within the application and immediately begin to use those taxonomies in the Semaphore Cloud hosted environment. 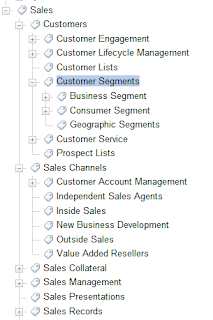 WAND Taxonomies can be customized using Semaphore Cloud taxonomy management to tailor them for the specific needs of any company. Pre-built taxonomies dramatically reduce the time and expense of developing an enterprise taxonomy model from scratch. WAND Taxonomies are available for every major industry vertical and have been enriched with additional synonyms and relationships specifically for Semaphore Cloud Content Classification Server so the automatic classification can be started almost immediately. Semaphore Cloud works with all major cloud content management services and integrates with on-premise Semaphore installations in hybrid deployments. Since 1983, WAND has developed multi-lingual taxonomies to improve the way our clients search and organize unstructured and semi-structured information. WAND is the premier source for industry vertical taxonomies, business taxonomies, and specialty domain specific taxonomies. The breadth and coverage of WAND’s taxonomy library is unmatched. 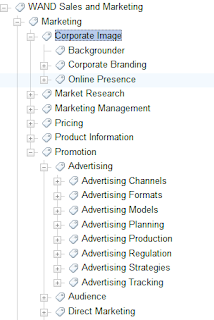 WAND Taxonomies can be used in more than 150 information management applications including enterprise content management, e-commerce, spend analysis, enterprise search, big data, text analytics, enterprise search, digital asset management. WAND Taxonomies are also used commercially in behavioral targeting, local search, online yellow pages, and business directories. For more information about WAND’s taxonomies and services, please visit http://www.wandinc.com and http://blog.wandinc.com. Smartlogic’s Semaphore is an enterprise grade Content Intelligence platform that complements an organization’s investment in enterprise search, workflow, analytics and content management systems. Semaphore is the bridge between human language and computers. It extracts the human intelligence from information assets and applies precise and consistent metadata to harmonize your information and drive business decisions. 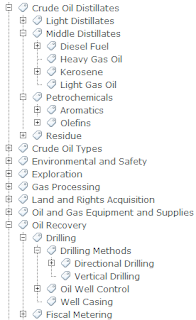 Global organizations in the financial services, oil and gas, healthcare, government, life sciences, high tech manufacturing, media and publishing, and retail industries use Semaphore to manage ontologies and taxonomies, drive automatic classification and provide contextual navigation. With Semaphore, they harmonize data, improve search and retrieval, drive workflows, secure sensitive information, comply with governmental regulations and replace rigid data warehouse systems with flexible solutions in a fraction of the time and cost to improve operations and gain competitive advantage. Fire Departments carry a lot of responsibility. Not only do they fight the fires in our communities, they also rescue people from dangerous situations and provide a variety of fire and emergency safety education programs for everyone from preschoolers to senior citizens. Firefighters also spend many, many hours in training throughout their careers. Unlike most of us, they also stay at their jobs for as much as 24 hours at a time, requiring a place to sleep and eat. A fire station really does become their second home! Then there is the equipment, the maintenance of that equipment, the firefighter's uniforms and their gear that all needs to be accounted for. 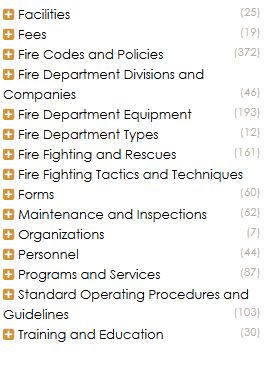 The WAND Fire Department Taxonomy addresses these topics and many more. 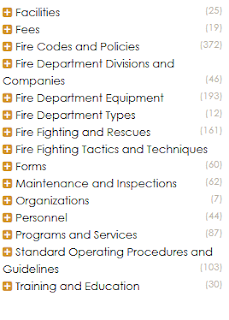 Included in this taxonomy are 1,298 terms and 770 synonyms covering topics such as Programs and Services, Tactics and Techniques, Personnel, Departments, Procedures and Guidelines. You'll also find individual terms for various types of fire equipment including all types of Firefighting Apparatus, Pumps and Water Equipment, Communication Equipment, Fire Extinguishing Agents, Hoses and Tools. Terms relating to Permits, Public Education Services and Fire Investigations are also found in this taxonomy. The WAND Fire Department Taxonomy can be customized to include terms specific to a Fire Department’s individual District, Municipality, City or County and is a perfect companion taxonomy to the WAND Police Department Taxonomy and the WAND Local Government Taxonomy. Police departments do much more than simply hand out tickets. A police department is responsible for public safety as well as educating the public and providing community services. Police Officers also spend many, many hours in training throughout their careers and become very familiar with the crimes that are committed in their jurisdictions. The WAND Police Department Taxonomy addresses these topics and many more. Included in this taxonomy of 1,510 terms and 1,256 synonyms are terms for the various types of Programs and Services, Department Accountability, Tactics, Personnel, Investigations, Policies and Procedures. You'll also find individual terms for various types of police equipment including Nonlethal Weapons, Lethal Weapons, Personal Armor, Ammunition, Handcuffs and Restraints as well as types of vehicles and uniforms. Terms relating to Incarceration, Evidence Collection and Retention Policies are also found in this taxonomy. 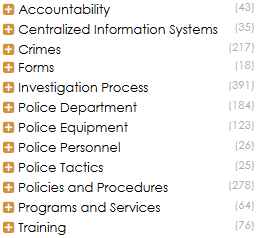 The WAND Police Department Taxonomy can be customized to include terms specific to meet the needs of any department. As with all WAND Taxonomies, the WAND Police Department Taxonomy is available by itself or as part of the WAND Taxonomy Library Portal. Torque, a digital publication focused on Wordpress, has recently posted an article about how to use taxonomies and ontologies to improve blog search and discovery. Mark Leher, WAND's COO, was interviewed for the article as was Elliot Turner, CEO of AlchemyAPI and Fiona McNeill, principal global marketing manager for analytics at the SAS Institute. The article presents an interesting discussion of the use of taxonomies to organize unstructured blog content and make that information more findable and more usable for users. We are proud to announce the latest entry in the WAND Taxonomy Library - the WAND Telecommunications Taxonomy. Telecom can be more than just a cable or cellular provider. In the 21st century, a Telecom can deliver a combination of Internet, Cable, Phone and Cellular services to their customers. While offering plans, bundles, services and equipment, they also need to create and keep their infrastructure functional and up to date. Imagine the documentation that's been created! 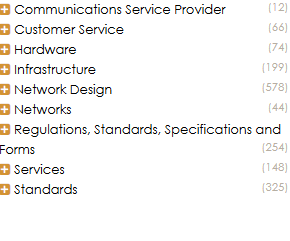 The WAND Telecommunications Taxonomy provides a foundation set of 1695 terms and 899 synonyms covering important telecom topics. You can see the top level terms in the screenshot on this blog. It's ideal as a starting point for organizing telecom content in your enterprise applications. As with all WAND Taxonomies, the WAND Telecommunications Taxonomy is available by itself or as part of the larger WAND Taxonomy Library Portal. Common Taxonomy Questions: What is the difference between a Taxonomy and an Ontology? In the world of information management, two common terms that people use are "taxonomy" and "ontology" but people often wonder what the difference between the two terms are. In many of our webinars, this question comes up so I wanted to provide an answer on our blog. Taxonomy is a collection of terms that are connected by broader term, narrower term, related term, and synonym relationships. You can think of taxonomy as a tree, with parent/child relationships between the terms. A taxonomy generally is limited to a specific subject area, for example Products or Medical Conditions. 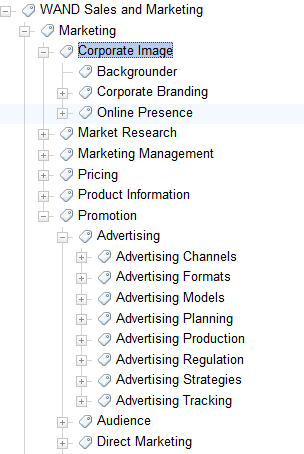 Taxonomies are valuable when you want to add structure/context to unstructured information to make that information more easily searchable, For example, if a taxonomy is used to tag documents in a search index, then when a user does a keyword search of this content, the Taxonomy can be presented on the left hand side of the search results as filter options for the end user. 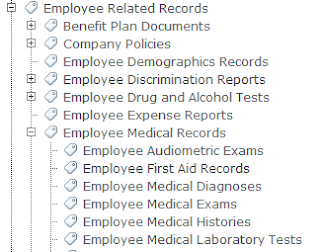 Multiple taxonomies can be combined together as filters to make for a powerful drill down search experience. This is what you see on many leading ecommerce sites like Amazon or Costco. Ontologies can be thought of more like a web, with many different types of relationships between all concepts. 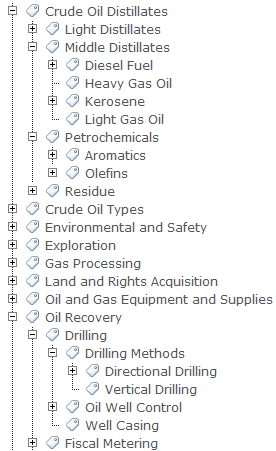 Ontologies can have infinite number of relationships between concepts and it is easier to create relationships between concepts across different subject domains.For example, you could create a relationship between the topic of "Wood" in a materials taxonomy and "Chair" in a products taxonomy. Relationship types could be "example of", "Purpose of" or "Part of". Ontologies would be used when wanting to create a more sophisticated information model that might be deployed to do advanced natural language processing or text analytics. Ontologies would allow you to better understand things like cause and effect between two concepts within a corpus of information. Ontologies can also power question answering engines: for example, if I search for "Who was the 16th president? ", an engine leveraging ontologies could return a specific result of "Abraham Lincoln"
Many of the taxonomy available from WAND are truly "taxonomies". 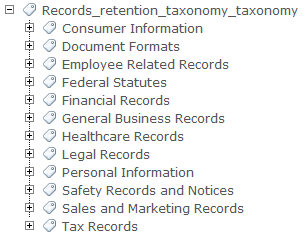 An application like SharePoint 2010 or SharePoint 2013 can support Taxonomy structures but not ontologies and usually, for tagging documents, a taxonomy is a great solution. However, the WAND Product and Service Taxonomy is actually an ontology because of the attribute and attribute values. For example, we have a category of "Laptop Computers" which is a narrower term of "Personal Computers and Accessories". Laptop Computers also has a relationship with the Brand "Toshiba Satellite" because Toshiba Satellite is a "Brand of" laptop computers. WAND is a leading provider of taxonomies. 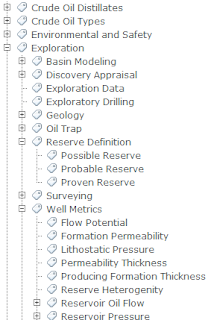 If you are looking to build taxonomies or ontologies for your organization, find out how you can access the WAND Taxonomy Library Portal to be able to browse and download any of the WAND Taxonomies.